Our second task set by Maxi-Cosi was to get out and about and discover new places with our Loola. 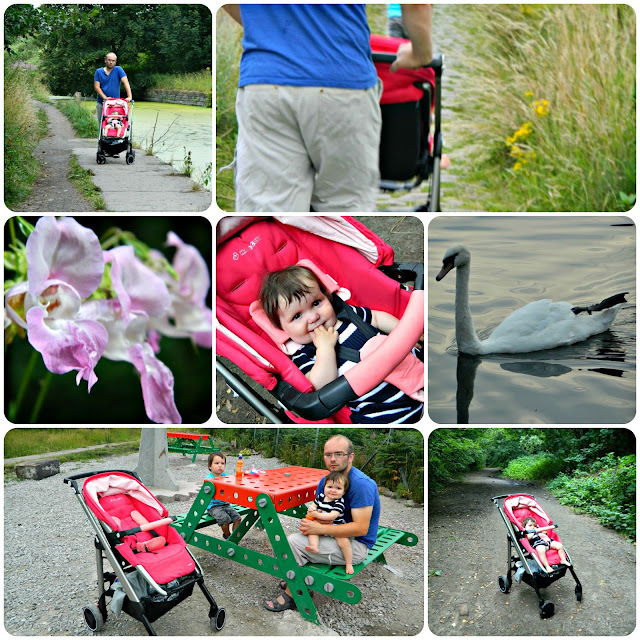 Our new stroller is rapidly becoming part of the family and we're enjoying using it on a daily basis. It's been to the shops, to our local museum, and on a few more interesting excursions too. The first place we explored with the Loola is the Museum of Science and Industry in Manchester.This is actually a favourite haunt of ours but Little Miss hasn't been before so using the Loola was a perfect way to meet up with friends, get out of the house and entertain Bud. 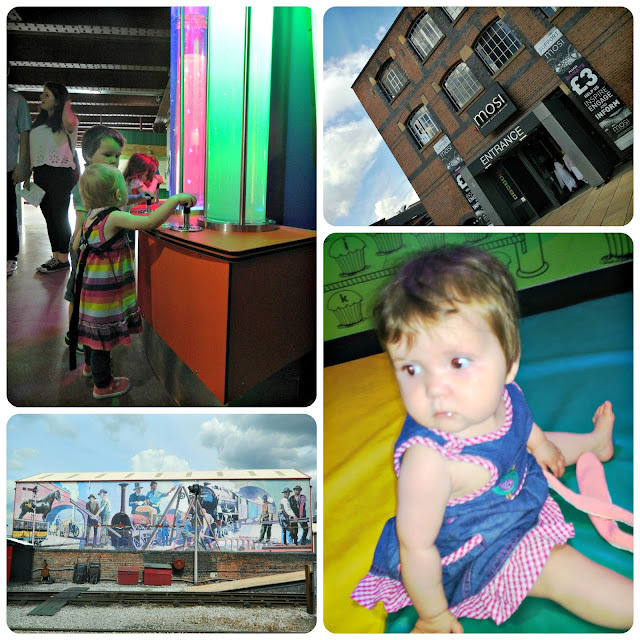 MOSI has everything to entertain a small boy - trains, engines, a fantastic experiment gallery and a soft play area to burn off excess energy. Little Miss adored the museum, watching her big brother and my friend's children run around. So how did the Loola fare in the museum? Little Miss loved sitting in the stroller under the lightshow in the experiment gallery (below, top centre). The museum is a large site and I was confident that she was comfortable and happy as I wheeled her around.. You'll see her clapping below. 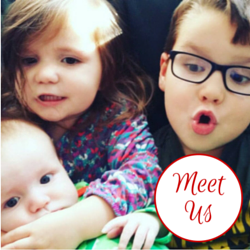 That big smile is quite a feature of our Loola experience so far. MOSI is situated in city centre Manchester and the Loola dealt brilliantly with the urban environment, I found it easy to take it up and down kerbs and to travel on the bus with. Bud decided he was tired after the museum so he climbed into the pushchair and was asleep in about thirty seconds. My boy rarely travels in a pram these days, and falls asleep in there less frequently! He slept for a while so he must have been comfortable. As he is a large three year old I was surprised by how well he fit into the Loola and how comfortable he was. This stroller will definitely serve Little Miss, who is much daintier than her brother, until she no longer needs a pushchair. On Saturday we decided to take a walk to the Meccano Bridge which has recently been built in our area. 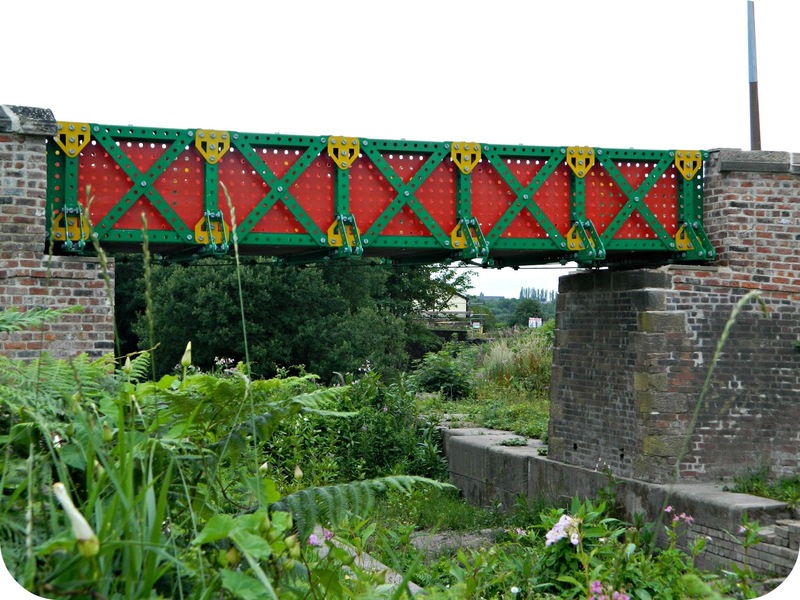 The bridge is the brainchild of the group who are attempting to restore the old Bolton-Bury canal. I've been dying to go and have a look at the bridge so it was a good opportunity to get out with the Loola to see it. It's around a 45 minute walk and over some quite rough terrain. I wanted to see what the Loola was like off-road! I'm happy to say that the Maxi-Cosi Loola dealt really well with the rough ground, in fact I even commented to my partner that the ride on the Loola seems to be smoother than any other pushchair we have tried before. The one slight issue is that the Loola is quite heavier. This is great for the quality of how it moves but, if you have to lift it for any reason, as we did on a couple of occasions on this outing, or push it up a very steep hill, it can make this a little more difficult. For me this doesn't detract from how good the stroller is but it might be an issue for some people. Hopefully you can see the various terrains we dealt with on this walk, none of them was too much of a challenge for the Loola. And here's the bridge in all it's glory! 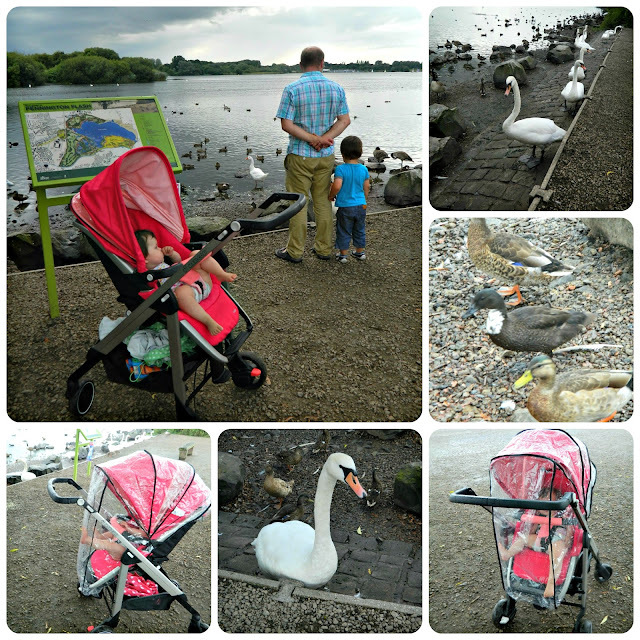 Our final destination was a trip out with my parents on Sunday, when we decided to chance the weather and go and feed the ducks at a large lake in Leigh called Pennington Flash. The terrain was quite easy to navigate as it was mostly paved paths and roads. Within about five minutes of leaving the car the heavens opened. Torrential rain. I hadn't used the Loola's raincover before this point. I simply hadn't needed to so it was something of an emergency to get the stroller covered and keep my girl dry. Oh my goodness, the Loola's rain cover is terrific! You simply ensure the hood is extended and fit the cover on to the pushchair by hooking it over the hood at the top and fitting it around the footrest at the bottom. Despite it being my first use of it my Mum and I fitted it in about thirty seconds flat. I was pleased to see ventilation holes in the cover which was perfect on a warm but stormy day like this. I've been so pleased with the Loola in the last week, it has dealt beautifully with everything I have thrown at it and been easy to use and a smooth ride for my girl (and her brother sometimes) throughout. Full marks Loola!